Often, no two applications are alike. With that in mind, we can offer our customers the opportunity to order customized die and press solutions from a single source. Material feed and other ancillary equipment can be supplied for further integration, and all systems are test run for your acceptance prior to shipment. Our turnkey systems can provide solutions to a range of applications. Our expertise within this area is attributed to long standing relationships with our customers. Heim Rousselle has a long heritage of applications, installation and understanding operating conditions, and customized designs. If you do not find information here that answers your special needs, please call us to speak with one of our knowledgeable application engineers. 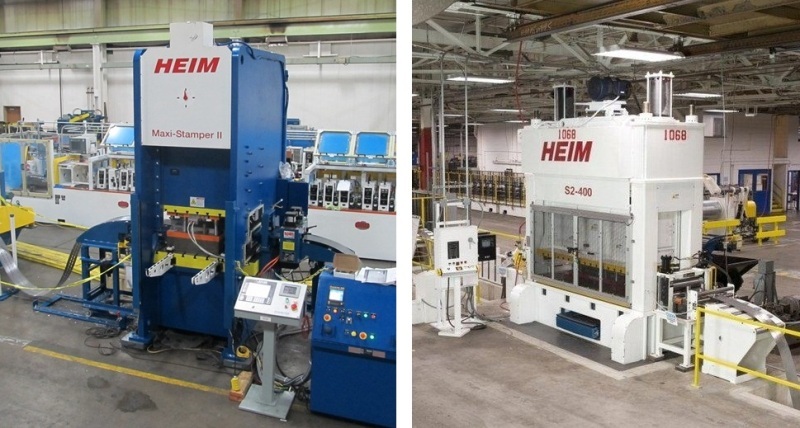 Our experienced design and engineering team stands ready to build a Heim Turnkey Stamping System for your specific needs.